So yesterday (09/06/2015) I went up to London for yet another concert, I have been to so many this year! 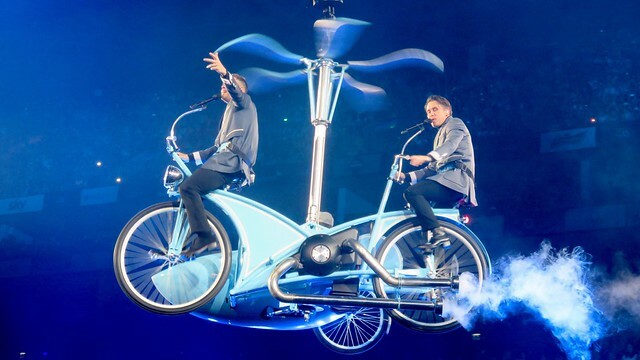 This time around, I headed up to the O2 Arena again to go and see Take That perform as part of their III Tour. 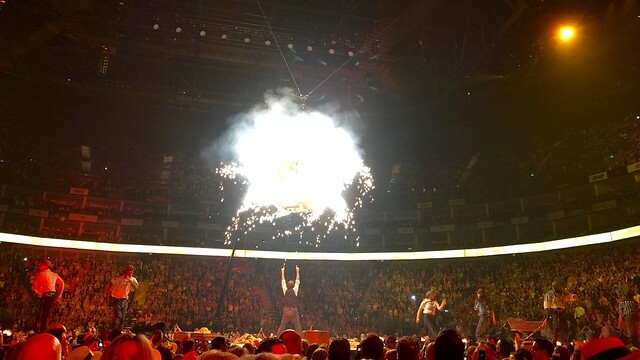 Take That (or what’s left of them) is now a three-piece but let me tell you that this did not deter from them putting on amazing show and I don’t think anybody in the audience minded that much. They recently released their seventh studio album (III) and so this tour featured many tracks from that album. If you haven’t already checked out their latest offering, you can do so by clicking here. 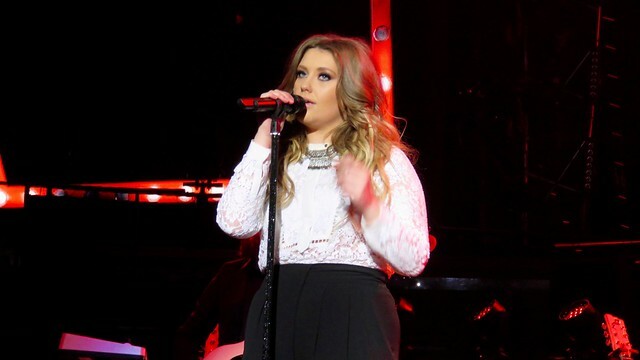 The show was kicked off by Ella Henderson offering support. You may remember her from the X Factor, where Gary Barlow was also a judge. She showed everyone that she is not just a one trick pony and she put on a nice show, offering delights from her debut album. She can really sing, and I loved how she kept spotting me in the audience and smiling when I sang along, that was a highlight for me. I really hope she gets bigger and bigger with her next material as she is truly talented and deserves it. So, on to Take That. The main act of the evening opened with what can only be described as a 19th century circus, with unicycles and spinning wheels working the audience. 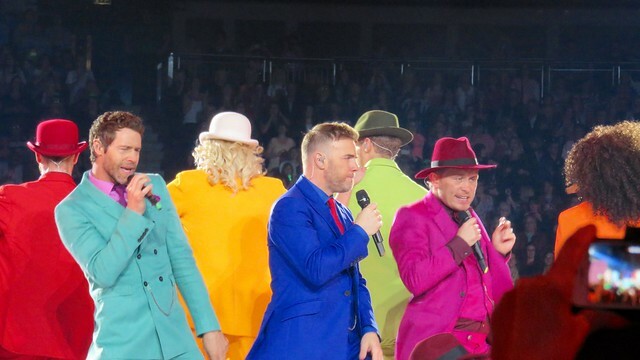 It was then the time of Take That to emerge from the stage floor and perform a few hits. Throughout the show, and because of the way the stage worked, they were found going round in a big circle into the audience so that they can be seen from all angles. It really showed that they wanted all of their audience to feel the magic. 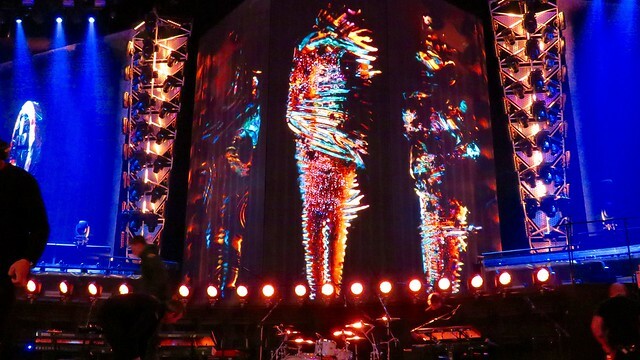 Highlights of the night for me were the performances of “Greatest Day”, “Let In The Sun”, “Relight My Fire”, “Pray” and of course “Back For Good”. 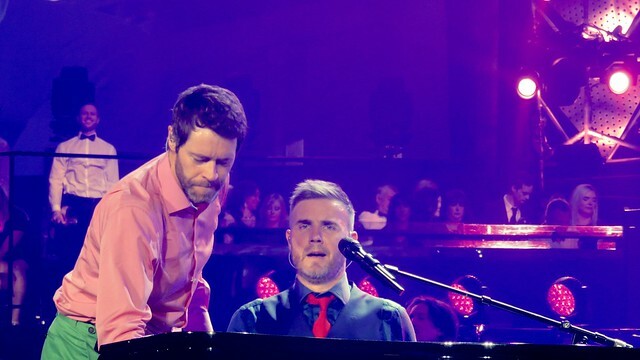 This was the first time I had ever seen Take That live, and I was a big fan back in the 90’s listening to all of their songs on the radio. 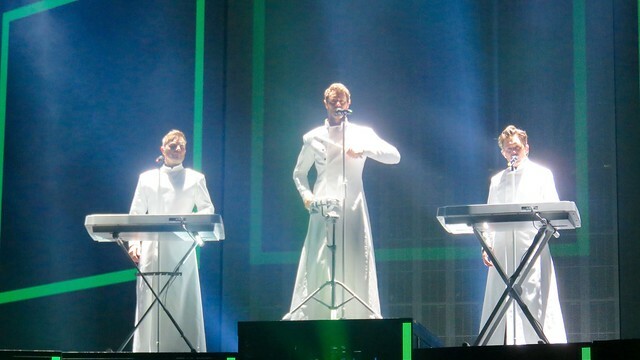 I still distinctly remember watching them on Top of the Pops performing “Pray” and I really loved it at the time. My first Take That album was the Greatest Hits that came out just as they split up (the first time round!). I listened to that album day in, day out until the Spice Girls released their debut album around the same time. Anyway, going off topic. I was very, very impressed with the show yesterday. 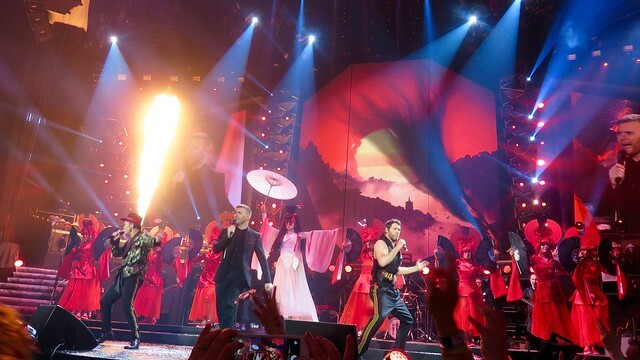 The show last night offered a lot to the audience and got everybody involved, from being in the closed curtain bit seeing all the shadows being formed, having all of Take That flying above your heads to the band members running through the audience. It was a great show and this should be how any concert is put on in my opinion, unless simplistic is your kind of thing. I really hope they release a DVD of this, and I think they will. It was a bit like being at a Cirque du Soleil show rather than a concert and that is saying something. I am going to see Madonna in the same venue in December and only time will tell whether or not she can put on a show to the same extraordinary lengths. 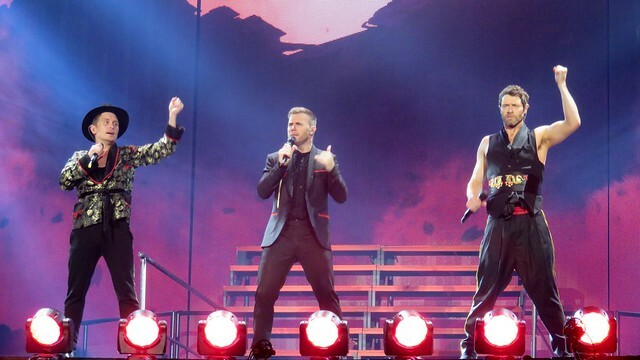 All of Take That, despite them all being in their mid-40’s proved that they have still got it, and can still dance to all of their old routines. Yes, in “Pray”, “Could It Be Magic” and “Relight My Fire” they came out with the same dance routines that they used back in the 90’s. It was great to see and really brought back the memories. The crowd-pleasing moment came at the end when they performed “Never Forget” and literally everybody in the audience were clapping and singing along, it was such an epic moment. I really hope to see them live again, although will they do another album? I hope that all five of the original line-up will get back together to do like a big Greatest Hits compilation, with tour included. That would be pretty cool, would you go? So anyway, would you like to see a few clips from the show? Check out my compilation video (with my added bad singing voice) below.